Though officers must have “reasonable suspicion” to make traffic stops, the U.S. Supreme Court ruled that the dangers posed by drunk drivers outweigh the degree of intrusion posed by DUI checkpoints. How you conduct yourself at a DUI checkpoint could mean the difference between an arrest and the freedom to move along to your destination. 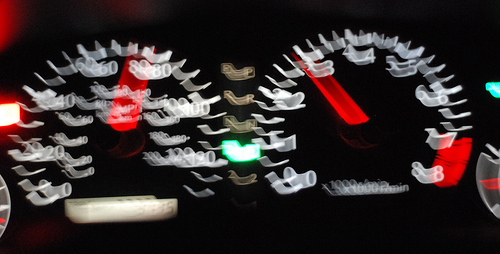 In Ohio last year almost one–third of traffic deaths involved drunk drivers. In addition, there were more than 12,000 alcohol-related crashes. Those are a few reasons that the State of Ohio aggressively pursues enforcement against drunk drivers. One of the ways in which Ohio attempts to cut down on impaired driving is to employ DUI or sobriety checkpoints. Keep in mind it is not illegal to drink responsibly and drive in Ohio. The checkpoint screening area is a secured area, removed from the flow of traffic for the safety of the driver and the officer. Not every car in the checkpoint will be checked. If your car is selected at a checkpoint, the officer will be looking for signs of impairment. If you smell of alcohol, if your speech is impaired, or if you act in any way like you’ve been drinking, you may be asked to step out of the vehicle and perform field sobriety tests. By all means, be respectful and cooperative with the officers. During the screening process, law enforcement may give suspected drunk drivers the National Highway Traffic Safety Administration’s field sobriety tests such as the walk and turn test, the one legged stand test, and one of the most reliable indicators of alcoholic influence, gaze nystagmus examinations. Some officers may use portable breathalyzers. These sobriety checkpoints will likely be more widespread at night and on weekends, and during specific holidays such as Christmas, New Year’s Eve, St. Patrick’s Day, prom, graduation, and spring break, for example. Checkpoints are also set up in places with high rates of impaired driving arrests or alcohol-related crashes. The checkpoint is meant to act as a deterrent to keep people from drinking and driving. Although law enforcement doesn’t anticipate a large number of DUI or OVI arrests, the perceived risk of arrest creates the deterrent. If you’ve been arrested as a result of a Columbus, Ohio DUI Checkpoint, don’t allow the deck to continue to be stacked against you. You need the representation of a skilled attorney who can help you navigate the treacherous legal landscape. The Maher Law Firm can help make sure that your rights are protected. Founding attorney, Colin Maher is a National Highway Traffic Safety Administration (NHTSA) certified practitioner for field sobriety testing, which is the same training as police officers. This training helps him evaluate and challenge the evidence collection process in DUI cases. Call The Maher Law Firm today for a free consultation at 614-205-2208 or contact us online.